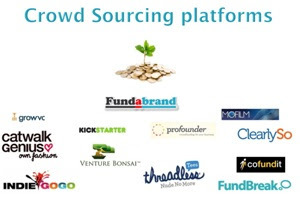 Bringing together financial and creative strengths Crowd Source Capital was launched in 2009 with the objective of developing a business model for fund raising and launching a global funding platform which enabled project owners to raise funds for their projects. Robert has over 20 years experience in the telecommunications and technology sector including PFI and BPO markets with large scale business transformation , strategic planning, product and services development and innovation at Cxx level. Recent industry roles have been at Vertex Data Sciences, where Robert was Director of Digital transformation and corporate strategy, and prior to that at BT PLC where he was Director London and South East England (with £150m P&L responsibility and accredited with over £6bn value creation) and prior to that was Director for Strategic Partnerships and Innovation. Robert has held a number of Non Executive Directorship most notably on the board of London First, the preeminent business lobby group in the Capital, performing both governance and policy roles on various committees including London's successful 2012 Olympic bid team, gaining treasury approval for CrossRail funding (£16bn) and pan London Security council post 7/7. Qualified accountant both in USA and Europe, with experience in implementing cross boarder accounting and billing systems and bringing projects in on time and under budget with strict cost controls. I have spent my life helping other people structure and fund their projects through various partnerships in Japan, Sweden, Norway, Holland, UK, USA, Hong Kong, Africa and the Middle East, whether they be property investments, infrastructure projects, MBO’s , or small SME projects working closely with scientists, entrepreneurs, and inventors. It is very satisfying to raise the seed-funding, take a fee and a small stake in the company and see the company grow and the product or service come to market. I have funded a number of start-ups and feel there is a need for a simple funding platform to showcase and help those seeking funding. The current internet population for the first time allows for crowdsourcing and the distribution over large social networks which are estimated to grow to in excess of 1 billion people in a few years time. This will enable project owners to raise small amounts of money from large crowds of connected people, where the risk of the investment can be spread to the equivalent cost of a can of coke. which was made in back 2007. Transformative change happens when industries democratise, crowdsourcing will change the world we know. We are embarking on the next industrial revolution, where the crowd can design a product on their computer, prototype it, and then up load the digital file to a crowd sourced manufacturer. "We are entering a golden age for small business with powerful crowdsourcing tools that give access which was once only available to big business." "I am very excited by the future possibilities of crowdsourcing and the social impact this will have on our world." When my brother introduced me to the film website mofilm.com in July 2009 I had never heard of crowd sourcing. One year later I feel like I am blessed to being in the right place at the right time. Having spent twenty three years in the US, in the film industry working for Roger Corman, National Geographic and Universal Studios, and in the UK for Granada TV and Wadlow Grosvenor International and in the US newspaper industry by owning a small chain of local newspapers in the Spanish market where I lived and now in tech in Silicon Valley. It is an opportune time to launch a disruptor start-up. A good idea can come from anywhere. 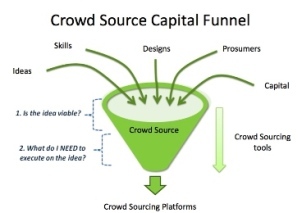 The idea for Crowd Source Capital came from researching crowd sourcing. My passion is Hollywood meets Silicon Valley. Creativity, finance and technology are beginning to meet on your iPhone, iPad, website and blog. My last tech company was called SpecTV in 1998 and it allowed us to upload videos from the public and television industry for public consumption. Ahead of its time, as You Tube launched some seven years later in 2005. I didn't think to let the public upload their own user generated content, the rest is history. This time we get to use all our experience of disrupted industries, film, tv, newspapers and now finance. I look forward to launching the fundabrand.com platform as it will appeal to both hollywood producers and tech start ups alike. But most of all it will help small business owners who I know only too well to raise expansion and start up capital for talented ideas and projects. This former chief scientific adviser to the Ministry of Defence was professor of chemistry at the University of Sussex from 1971-1988. Mason, originally from Aberfan, recently retired as chairman of University College of London. Sir Ron is Trustee on the board of Trustees for Restore. Restore started as a Trust for research into Burns and Wound Healing in 1991, assembling a Scientific Advisory Committee of some of the most highly regarded clinicians in the field in Britain. Research is based at Stoke Mandeville Hospital, one of a number of hospitals whose burns units were founded on their experience with the dreadful injuries brought to them during World War II. Through the Fellowship scheme and the “can do” attitude of the Scientific Advisory Committee, the Trust’s research has advanced significantly and cost-effectively in the past fifteen years. This research has received national and international recognition.